2 professional golf courses, SPA center, parking, shops, restaurants. 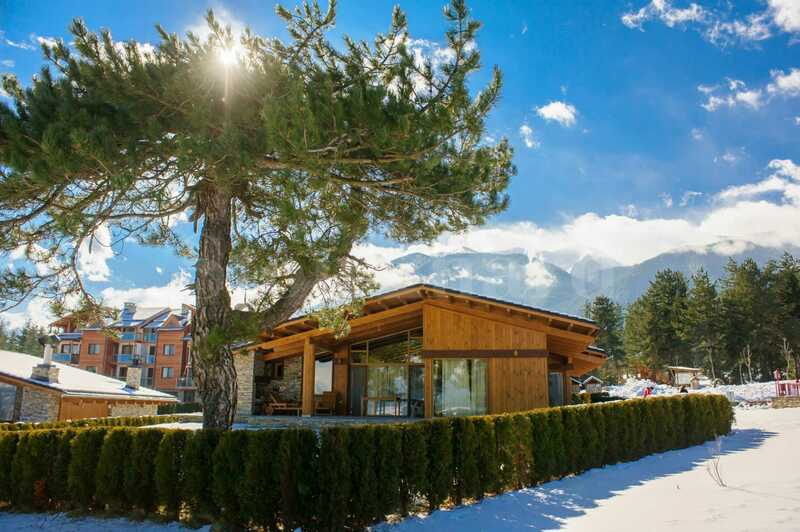 These newly-built holiday houses are situated in a golf complex at the foothill of the Pirin Mountain near Bansko ski resort. The complex features its own well-developed infrastructure with diverse facilities. The properties are set behind the central entrance in a new district of the complex. The first type is "Twin" duplex house – each one with an area of 195 sq.m. The house features a foyer, 3 bedrooms, an open-plan living room with kitchenette and dining area, 2 bathrooms/WC, a laundry room, a boiler room, a toilet and a terrace with BBQ. 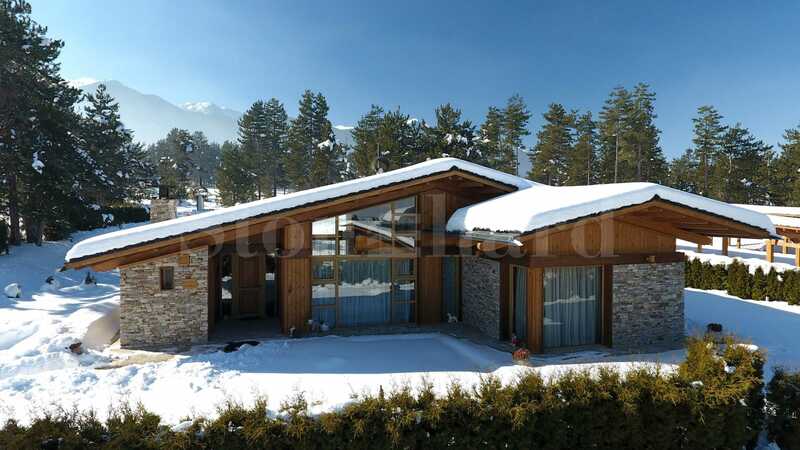 The property features wooden structure with reinforced-concrete foundation and thermal insulation. The facade is finished with wood and natural stone. A pellets heating system is used for the property that makes it cost-efficient. The second type of houses is "Malina" - a single family property with a big yard. The houses are offered in a turn-key ready condition or furnished, with WI-FI internet connection, TV and telephone. 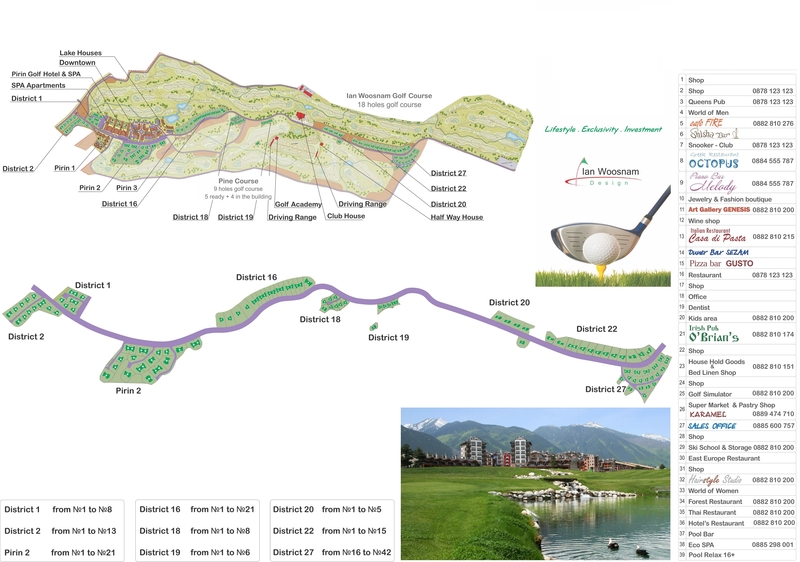 The golf complex is located on a 150-hectare area. It is surrounded by woods and valleys. The structure of the complex includes its own trading area with shops, restaurants, cafes, photo studio, dentist office, parking spaces, 24/7 property management and maintenance, etc. There are parking spaces in the complex, 24-hour/7 day a week property maintenance and management. The houses are offered on a turn-key basis or furnished, fitted with WI-FI internet, telephone, and TV. The house has a wooden structure with reinforced-concrete foundation, thermal insulation and drywall. The facade is finished with traditional building materials for the area – a natural stone and a wood. 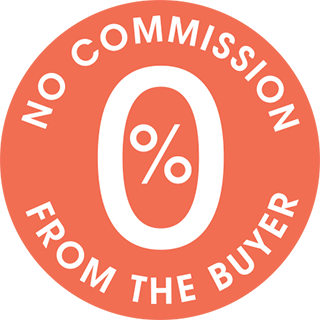 The pellets heating system makes the property cost-efficient and convenient. The golf resort is situated on a 150-hectare area, surrounded by woods and valleys. It has a structure of a town with its own trading area which offers many restaurants, cafes, shops, photo studio and even a dentist office.